Are you a Realtor considering the possibility of adding a Home Stager to your team or referral partner list? Great! I’m totally excited that many Realtors are seeing the definite benefit of having a home stager on call just like any other service provider, but you may not know where to start or what kinds of questions to ask yourself before venturing out into this territory. So please let me share some insights and information with you to consider when interviewing a home stager. Having a home stager is like having multiple service providers on call and a home selling ”concierge” service at your disposal. Not only do we come to your team with our own list of service providers (or provide those services ourselves) for you and your clients but we are advocates for you and your clients in the home selling process. Your successful sale is our success! It matters to a home stager that the house sells fast and for the best price! Staging works! This Highland Park, TX home sold in 8 days after Staging by Home Star Staging! Does the quick sale of the home matter to your painter, plumber or carpet installer? Home staging professionals are all about building and keeping equity in the home, not taking it away. From this Home Gain 2011 Study below you can see the ROI for many of the services home stagers recommend and provide more than pay for themselves. What really surprises me with this chart though is that although Home Staging is listed in the Top 3 of the ROI on the investment (299% ROI! ), it’s in the bottom 2 of the % Recommended by Realtors section! If you’re a Realtor wondering how to incorporate a home stager into your listing presentation or introduce the concept to a client do you have some questions you’d like to ask? What objections might you have to considering a home stager as part of your team? 1. I’ve never utilized staging services before & don’t know where to start. This is easy! Start by doing an online search for home stagers in your market and checking out some websites and information they provide. Check their portfolios and photo galleries. Some companies use stock photography to showcase work, call the company and ask them if the work on their website is their own! The Real Estate Staging Association members also known as RESA are great home stagers to call. RESA home stagers are committed to building not only their businesses but professional standards, education and adhering to ethical business practices. Make sure you ask if they are licensed and insured and get some referrals from them to follow up with. Not all home stagers are created equally. 2. I have already dismissed staging based on price. Home Staging services do not necessarily mean expensive! 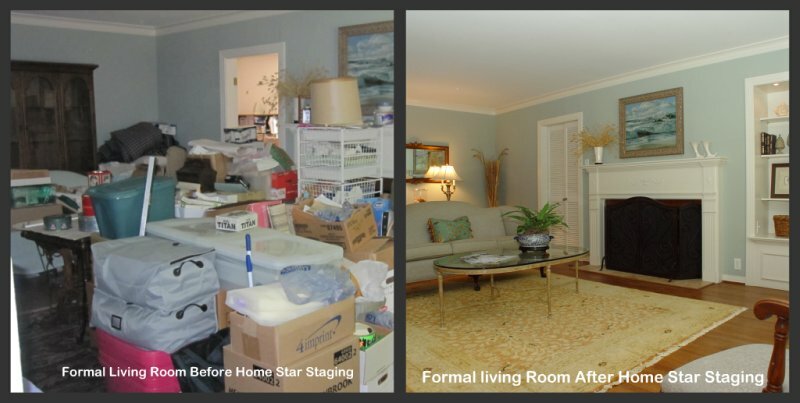 Many home stagers provide very cost effective and extensive home staging consultations. Every home at any price point can benefit from a home staging consultation. A home staging consultation is at the beginning of a sales transaction like a home inspection is at the end of a transaction – a necessary part of every residential real estate transaction! We help bring the offers to the table! 3. I have no idea how it works. When speaking to a home stager they should be able to clearly tell you how each of their services works. I encourage my Realtors to come along for at least the very first consultation so they can actually see how it works. 4. Am I expected to pay for it? No. Unless you want to provide a home staging consultation or other staging service as part of your listing package (which many agents do successfully & can actually secure more listings by doing so) a Realtor is never automatically expected to pay for the services a home stager provides. It is all in how you introduce it to your clientele and how you choose to work with your home stager. 5. How can I trust you with my clients? Building rapport, trust and confidence in your home stager will take at least one try! Making the phone call or email introduction is your first step. Not all home stagers can be everything to every client just as not all Realtors can be everything to every buyer or seller. Just like any other business relationship, trust takes time. I hope this helps answer some questions or thoughts you may have and please feel free to post more questions and comments here. I’m always happy to learn more about how I can assist YOU! Howdy! I’m Karen Otto a professional home stager and owner of Home Star Staging in Plano,TX. It is my hope to share helpful tricks and tips for staging your home whether you are staging to sell or staging to dwell. Please feel free to leave a comment or ask me a home staging related question! I know your time is valuable and I am grateful for the time you took to read this post. « Staging a home to sell: A living room story.